Pricedown, originally a single weight display font, released in the late 1990s has been rebuilt, expanded and improved. Don't forget to read the files inside the zip for details. 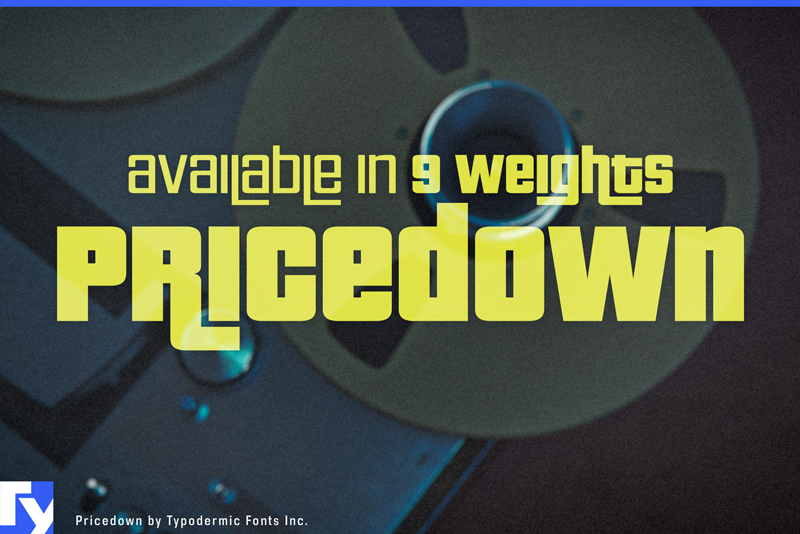 Pricedown contains OpenType automatic ligatures for producing FUNK effects. If you want to reduce the funk, turn off the "standard ligatures" feature in the OpenType menu of your application. This effect is only available in OpenType savvy applications. Pricedown includes accents for almost all current Latin-based languages as well and supporting Cyrillic and Greek. There's a star as well as Roman numerals for 1,2 and 3.